Isaiah is like a miniature Bible. The first thirty-nine chapters (like the thirty-nine books of the Old Testament) are filled with judgment. Judah has sinned; the surrounding nations have sinned; the whole earth has sinned. They had made a mess of their lives, judgment was coming. But the final twenty-seven chapters (like the twenty-seven books of the New Testament) declare a message of hope. The Messiah is coming as a Savior and a Sovereign to bear a cross and to wear a crown. 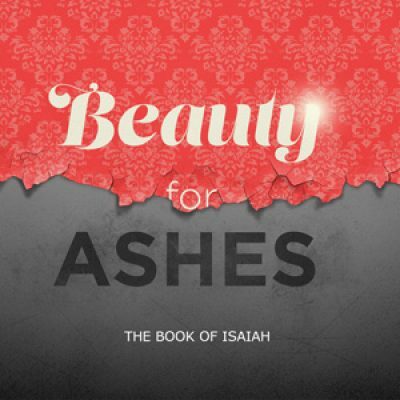 Isaiah’s message can be summed up in the meaning of the prophet’s name: “Yahweh is salvation.” Just as Jesus will make Beauty from Ashes for Israel, He also desires to remake each one of our lives. Join us as we step into the Beauty Jesus has for us.